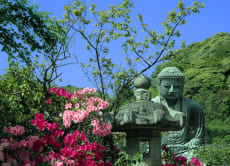 Hi I am Masaharu, a professional guide offering Kamakura tours. I used to stay in London for fourteen years on business. This valuable experience gave me great pleasure talking to many people from entirely different cultures. Therefore, I am very happy to show you the historical and traditional tour spots in Japan such as Kamakura. Let's enjoy together the history, culture, natural beauty and seasonal delicacy of Japanese cuisine. 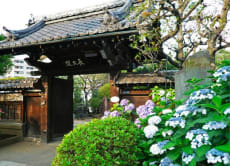 Enjoy a 1 Day Private Tour Around Kamakura! Stroll around the sumo district and feel the spirit of Edo! 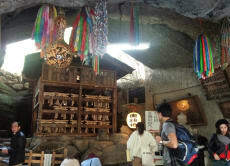 It was a fantastic travel to Kamakura ,I have learned a lot about history, really appreciate! Definitely I want to go back to this wonderful land with magnificent human beans .Thank you very much . Yumi-san is an experienced, professional and friendly guide. The day felt like a trip with a friend who knows her way around and can share helpful information on the historical and cultural perspective of the sites visited. The port visit gave us some refreshing insights to the US-Japan relationship. Another great experience indeed! Having a nice guide, Tetsuya san, was wonderful. He spoke good English! We were sent several email reminders re: meeting date/time/place. He was already waiting for us at the station. He was eager to start showing us around the vincinity. It was rather unfortunate as we couldn't see the actual training of sumos. We visited several training houses (exterior only) on foot, very close to one another. We went to the Sumo Museum (free entry), we were impressed. 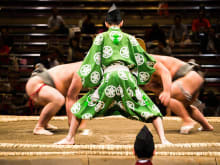 There was a video clip showing the current, famous sumo wrestler whose hair was combed by a professional! It took a lot of efforts to comb 'that' hair! Though all info was in Japanese, we got Tetsuya san there to interpret. No photography in this museum. He brought us to the big Edo Museum - paid tickets. Wonderful! Handmade stuffs were so real! Many things dated 700 years ago were so well kept, just beautiful! We didn't realise how modern was the Edo/Meiji Era. We strongly encourage everyone to check this out. We told Tetsuya san that we would go to Asakusa, he took us there by rivertaxi (might be abt 300¥ per pax or less?) along the Shumida River instead of taking a subway (so that we had so much to see)! Be camera-ready. Within 10-15 ride time, we saw beautiful scenery...Tokyo Skytree, many coloured bridges with different names & alot more. We reached Asakusa, straight up & next to river was Hamida Bar, a restaurant with a few levels, Tetsuya recommended this place for lunch. We insisted to buy him lunch, he obliged finally. It was a yummy tempura bento set lunch, we enjoyed it. We went to 'Leimon' the direct translation to the name of the temple. Big, auspicious, beautiful lanterns hanging at the gates! 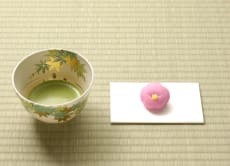 The streets before the temple were lined with shops selling handicrafts, Japanese sweets, pastries, read bean pancakes, hand-painted fans, coasters, curtains, miniature figurines, many many to add on the list. Tetsuya san knew what we could buy as souvenirs to bring home! Yes, we bought many stuffs, especially that red bean pancakes which were already packed nicely as gifts (expiry: 50 days from packed date). They were very yummy! Go buy them! There were about 3 gates to the temple. We entered the second one. Tetsuya san asked us to try picking out a lucky stick (¥100 as a donation)... Just like we did at the Fish Market where Kiyoshi san asked us to :)) My no. was 23. There was English translation to the strip of paper I had. I had the 'Lucky' read! At the Fish Market, Kiyoshi san said if the read was lucky then keep it with us, if it was unlucky, we would hang them on the trees! We had great shopping for Japanese appetisers as souvenirs, well-packed as nice souvenirs! Love them! The shop allowed tasting of samples. So go...buy them! We bid farewell to Tetsuya san, a very nice & humble retiree. We learnt alot from him about the Japanese culture. Thank you guide! We had a great time with Shizuko-san. She is very kind and generous. She tries her best to help us in every way possible. Since this is our first time here in japan and is still confuse about the shinjuku station, she help us by changing the meeting place to our hotel. She also recommend us lots of other great places in japan since we are travelling on our own most of the time. She provided us lots of detailed informations on other tourist spots in Japan and shows us directions to those places. We are really thankful for everything she have done for us and we will definitely try to come back for more tours with her. 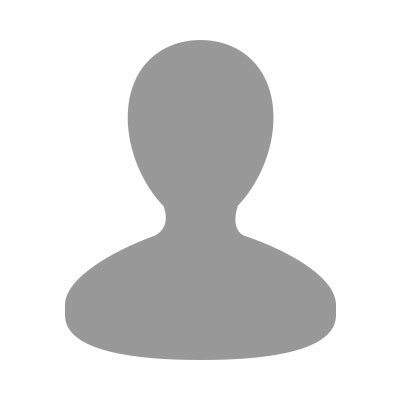 Guide très compétant et comme j'étais seul avec lui il a plus répondre à toute mes question et plus !! Sachio à été une ressource abondante. Je conseil c3 séjour à tout le monde qui aime les temple et lieu de culte shinto et boudhiste.